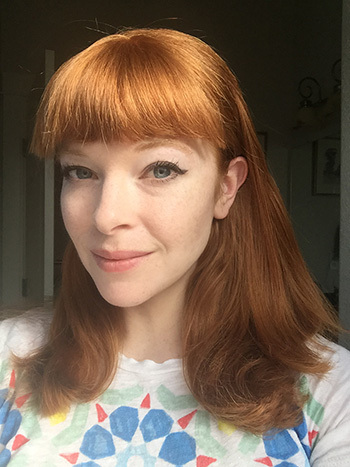 The Baskin School of Engineering at UC Santa Cruz has hired acclaimed independent game developer Erin Robinson Swink to be the creative director of the master's degree program in games and playable media offered at UCSC's Silicon Valley Center. Swink comes to UC Santa Cruz with 10 years of successful game development experience as an independent game designer and developer, with credits on more than 10 independently developed games, most recently Gravity Ghost. She has taught game design and prototyping at Columbia College in Chicago for the past five years. Swink is a frequent speaker at national and international conferences, such as the Game Developers Conference (GDC) and Gaming Insiders Summit. With a background in neuroscience, she has written and lectured on the connections between neuroscience and games. "We're excited to have Erin bring her tremendous skills and knowledge in indie game development to our students," said Michael John, program director of the M.S. in games and playable media program. "Her story as both a creative and highly successful indie developer will bring awesome perspective and opportunity to students in the games and playable media program. We are also excited by Erin's commitment to games as a broad cultural practice, evidenced by her recent first place in NOAA's National Climate Game Jam, and her successful #beatthedev charity fundraiser." As creative director, Swink will develop the overall creative vision for the program, consistent with the goal of pushing forward the expressive potential of games as a medium. She will also represent the M.S. program to the international game development community through talks and interviews, as well as by developing and exhibiting her own creative projects. Swink said she was excited to join the team at UCSC's Center for Games and Playable Media as creative director of the professional degree program. "I can't wait to help tomorrow's game developers create innovative and inspiring work," she said. "I hope that my experience as both an independent developer and an entrepreneur helps our students understand the challenges of our industry and face them head on." The M.S. in games and playable media is a yearlong (12-month) degree focused on combining technical and design innovation. The program includes a project-oriented course sequence in which students work in teams to create innovative games. As creative director, Swink will be the instructor and mentor for the M.S. students during the course. UCSC art professor and noted game designer Robin Hunicke said she was thrilled to have Swink joining the program. "We are creating a unique interdisciplinary program here that spans the Arts and Engineering divisions, enriching undergraduate and graduate education in games," Hunicke said. "Erin's experience as a game designer, artist, coder and advocate make her the perfect fit for us. We welcome her passionate belief that games are art, and her conviction that we can make a lasting and measurable difference through that art." Swink joins several other recent hires in the games and playable media program, including program director Michael John (formerly at Glasslab) and computational media professor Katherine Isbister (formerly at New York University). "With these and other planned hires, we aim to build the top research and education destination for game students and faculty," Hunicke said. "We are excited to have Erin on board, helping us make that vision a reality."